The Greeks had the Sun. Dickens had candles. Moulin Rouge had foot lights. The Rat Pack had tungsten fixtures. We now have LED Technology! Technology keeps giving us more options. 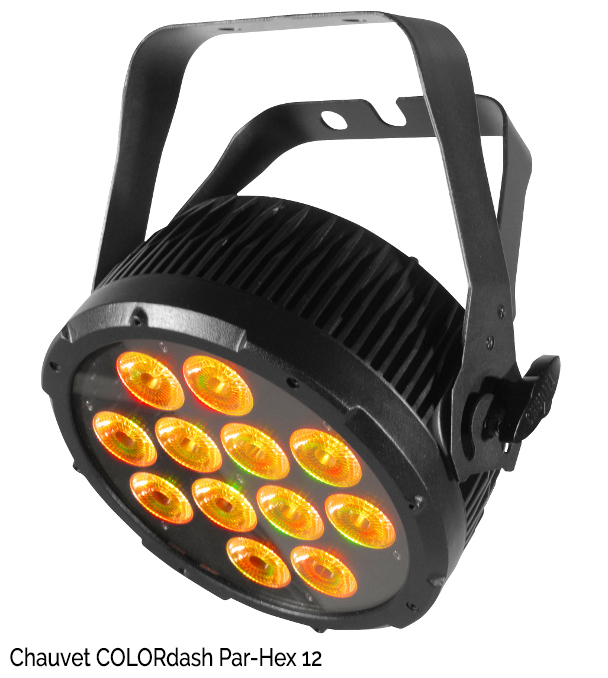 Recently, I have been seeing show after show change from traditional cyc lights or strip lights to LED technology. 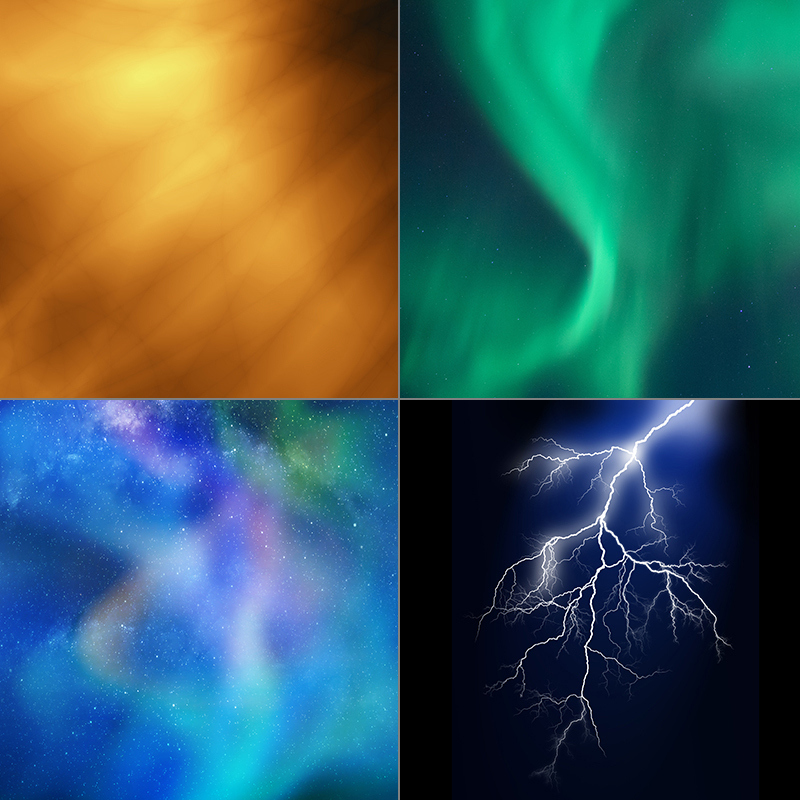 There is the obvious difference of having more color options, but there is another artistic difference as well. Previously, we were used to adjusting the color and contrast ratios with cyc units from the bottom and the top. This gave us the ability to have either the lower section or the higher section of the cyc be brighter or more saturated in color, with whatever you wanted to do in-between. This has now been elevated with LED Units. The reason for the elevation is that the LED units use many more channels and you can often cue each individual cell. This means that you are not limited to just having your “blue” all across the bottom. Now you can have a rainbow of color going across. The choices are only limited by your imagination. This video from Chauvet shows what I am talking about as far as being able to control individual cells. In general, these sort of units are fixtures you would mount close to the cyc itself. If you are looking for a more traditional cyc, here is a video from Altman Lighting that shows the comparison and changeover from a traditional Sky Cyc setup to almost a seamless LED situation. This is a very effective and straightforward way to reproduce the way you may have been doing your cyc but giving you a much more expansive color palette. This video is specifically about the Altman Spectra Cyc 200 that shows an incredible amount of light output. This is also a great unit to swap out older style Sky Cycs with. This next video is of the Altman LED Spectra Strip. Where this differs from the units above is that you can have this unit sit closer to the cyc for its blending. You can get it in color changing options or in complete white and then use traditional gel. If you need height but space is limited, this is a great option. If you want to see some amazing usage of cyc manipulation with LED fixtures and you are in NYC, go checkout If/Then. 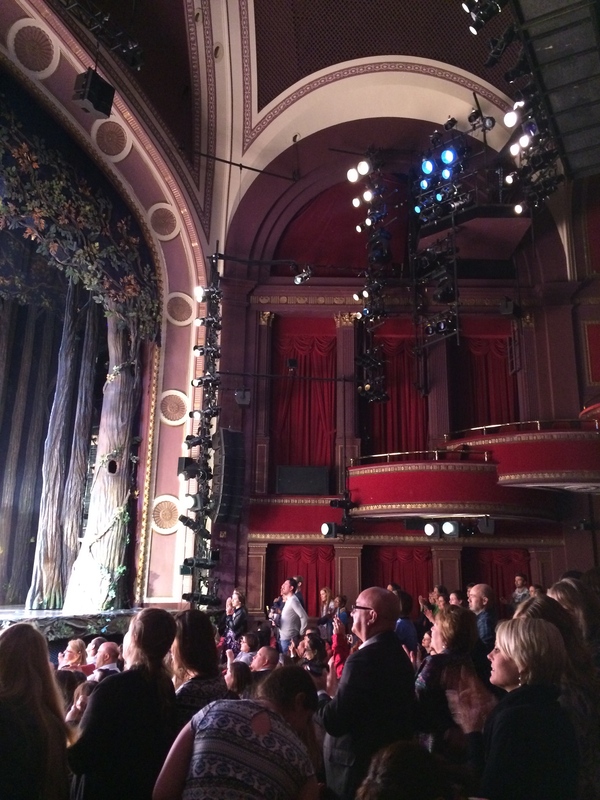 Ken Posner, the lighting designer, has one of the most sophisticated eyes on Broadway. The way he turned the cyc into a continuation of the scenery was wonderful and deserves the price of the ticket just to see his work. Of course the show itself blew me away! Here is a fun video from the Heathers website that gives a great example of how you can move LED light across the stage. Sadly Heathers is closing or when you have read this have already closed 🙁 Fun Show! How Are Notes Like Lights? Wow – that is a hard question. 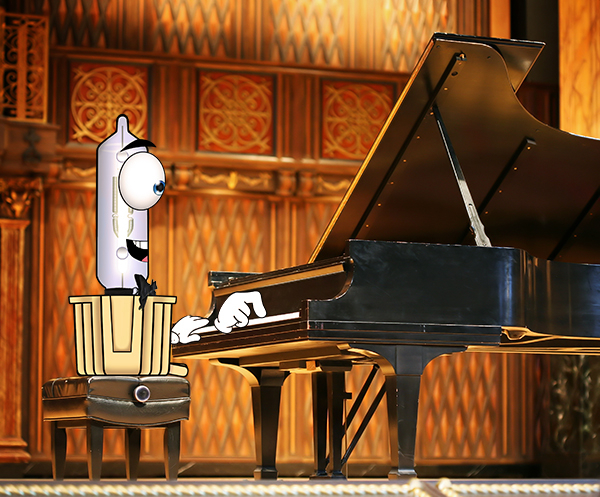 How many keys on a piano do you need? At least one for every tone that is called for in the music. Then you should think about if there is a tone that isn’t called for; can you really leave that key out? Can the pianists fingers get to all of the right tones with the missing keys? What if the composer wants to add something? Leaving keys out would limit the artistic possibilities. So… How many lights do you need? Enough to create every visual need of the show. Plus some more if new ideas, scenes, blocking come up during the tech process. The question of how much equipment do you need comes up in every show. Often the question comes up to early in the conversation. How can you give a real answer when you have not even discussed the style of the show with the director let alone helped formulate a ground-plan? Of course the producer needs to put together a budget for the production. Here is a classic battle of wanting to give an answer but making sure you don’t give an answer too soon. This is one of the reasons why I am such a large proponent of doing as much homework in the beginning of the production discussion as possible. The sooner you know how many visual notes you need to create then the faster you can give a realistic answer. Often you will walk into a situation where you are handed a set list of equipment that you have to work with. May it always be more plentiful than you need 🙂 However, it is often not. Then there is the conversation of I need more or I need some instruments that can do multiple jobs. I believe the more you have thought out your design the more you can defend the need to spend these resources to get what you are looking for. If you present your needs in a well thought out manner and then ask the simple question, if I don’t have this equipment, how do I create that environment? Then in the end either the resources exist or they do not and if they do not then it is your job to make the best concession possible. Sometimes you get lucky and the facility has enough or more equipment then you need. I’ll never forget the first time I designed at Plays in the Park in NJ. I believe it was “Dracula”. My light plot really only used about half of the equipment they owned and the electrician was talking a little “smack” behind my back that the show would be under lit. I was hired back for multiple seasons after that show. It wasn’t under lit, it was correctly lit. Some productions don’t need a ton of equipment. So I guess the point of this blog is to promote doing your work early. The sooner you can get a reasonable rough light plot done the better you are. Then you know if you have the equipment you need. Heck, now that we mostly draft on computers it isn’t like you even have to erase to move a light around. So go ahead… do that rough plot early and then finalize it when necessary. Balcony Rail – From Handrail to Lighting Position. 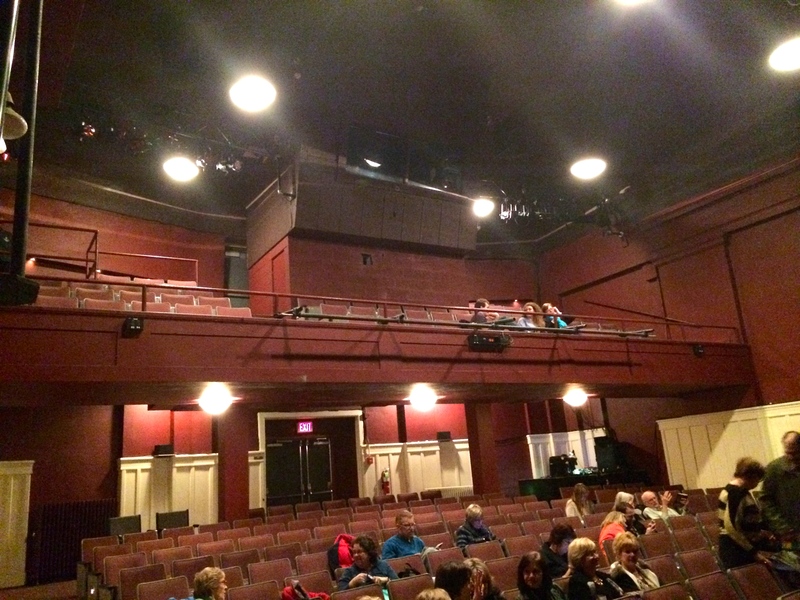 A Balcony Rail is also one of the first modern lighting positions installed in a proscenium house. Much like the Box Boom, it was a quick solution to finding a place to hang lighting fixtures as front light so designers could go beyond foot lights being the only source of illumination. To understand what a Balcony Rail is, think of splitting the phrase up. It’s on the balcony and it is a rail to hang lights on. Many balconies had hand rails made out of pipe to begin with, making them a quick, natural place to hang a light. 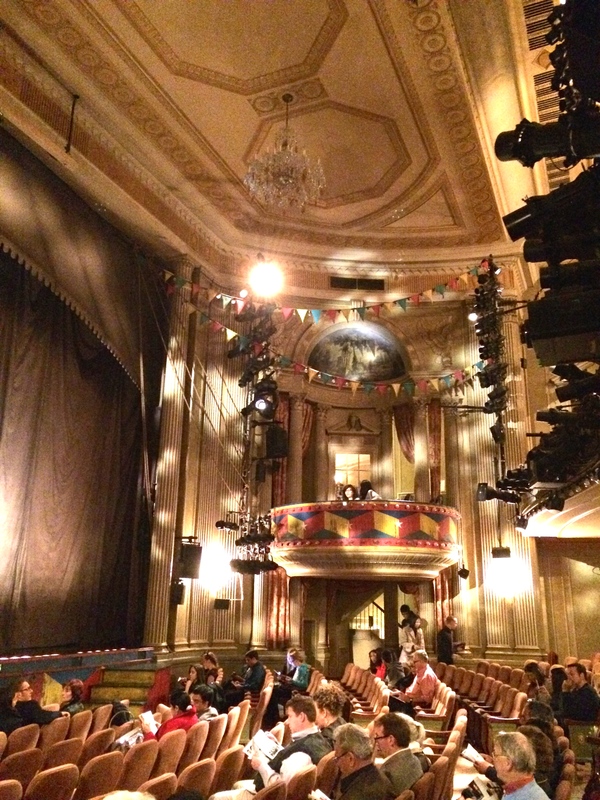 As time went on, it became apparent that the lights were now blocking the view of the audience in the balcony. Folks started hanging the units off of side arms on the rail towards the stage to lower the lights. Then, they also found ways to hang a pipe on the actual architecture of the face of the balcony keeping the light out of the eyes of the balcony audience. Front light is often complained about, because it can be a flat position of lighting. I happen to agree with that, but I believe there are many uses for the position beyond “area” lighting. There was a problem though. The theatres that were in existence did not have any place to mount lights. One method used was to hang a light on a pipe onstage. This was a fairly quick solution to positions on stage, because the pipes were already used to flying scenery and backdrops up and down. Putting a light on a pipe was no great stretch. The front of house, though, was a much greater challenge. Unsurprisingly, theatrical people are inventive. They came up with two initial ideas, the Box Boom and the Balcony Rail. This post will discuss the Box Boom. When you hear the description of Box Boom you really have to break the word down into two parts. The Box and the Boom. The Box comes from where people would sit in the elevated sides of the auditorium. 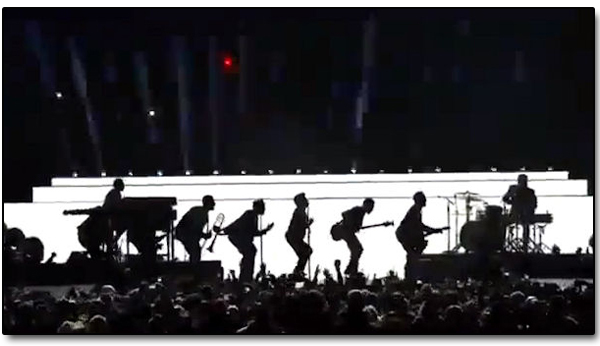 The Boom was a vertical pipe that was already being used onstage. Put the two together and voila(!) you have a vertical lighting pipe where people used to sit. It was a very easy solution that created a place to mount some lights in the front of house area. There were also some artistic benefits that I believe happened by accident. Side lighting is one of the most attractive angles of lighting to the body. A Box Boom position is side light that is slightly pulled to the front. This gives you the benefit of side light, and the light reaches across the face of the performer a little. If lit from both sides by the Box Boom you can have an incredibly attractive look on the stage that includes front visibility. Put that together with a really tight head-shot from a follow-spot and you have what I believe is today’s most popular “Broadway” look. If I had to go into a theatre that had absolutely no lighting positions and was told to pick one, a Box Boom is what I would choose. Here are some examples of some Box Boom positions. This is a classic example of a situation where there was really no other easy way to get front light on stage. Sometimes it is a permanent installation and sometimes simply a fifty pound boom base with a ten foot pipe as the vertical. 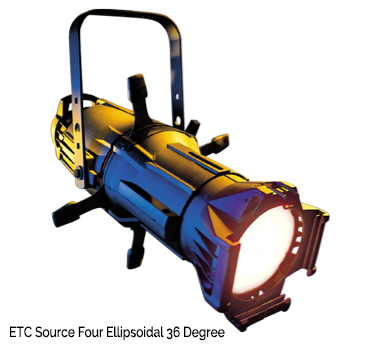 Theatrical lighting equipment has changed so much over the last century. 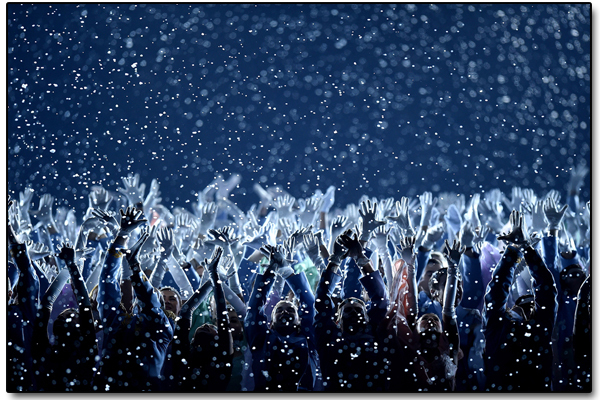 As in our personal situations, stage technology is changing at an exponential level. Some people will say it is great and others are not happy about it at all. Suffice it to say that change is here and it will always be here. Either embrace it or become obsolete. I think having the ability and artistic sense to be able to blend technologies is incredibly important. Years ago I was designing a series of A Christmas Carols at Theatre Three in Port Jefferson NY. A Christmas Carol is a story that lends itself to magical moments and visual interest. Much can be done with good old fresnels and lekos. Choosing the right color, shape and direction can help set the environment that moves the story along. Can they be helped with adding some new technology? Hecky Doo – YES! Back then, having color scrollers was “new” technology. Imagine it though. Now instead of that light only having one color, I could choose between ten or fifteen colors. Then what about this new swanky thing called a gobo rotator? Now I can have Marley being sucked into his world of hell with a spiraling gobo instead of just a red or green light uplighting him. Check out this very informative video to see more on today’s new spot technology. With today’s technology you can add variant color and movement like these pictures to enhance your look. It can go well beyond just simple color changing. My point to this story is that in the productions I was doing, I went ahead and invested in some actual moving light spots. With these units I was able to have the Ghost of Christmas Present glow every time she gave a blessing. The Ghost of Christmas Past was able to walk around at all times surrounded by an aurora borealis effect. Then when the Ghost of Christmas Future came out, I was able to have so many lightning bolts happening in so many varied places that could never could have happened before. Those sort of effects greatly helped the show. Those sort of effects are also fairly obvious. 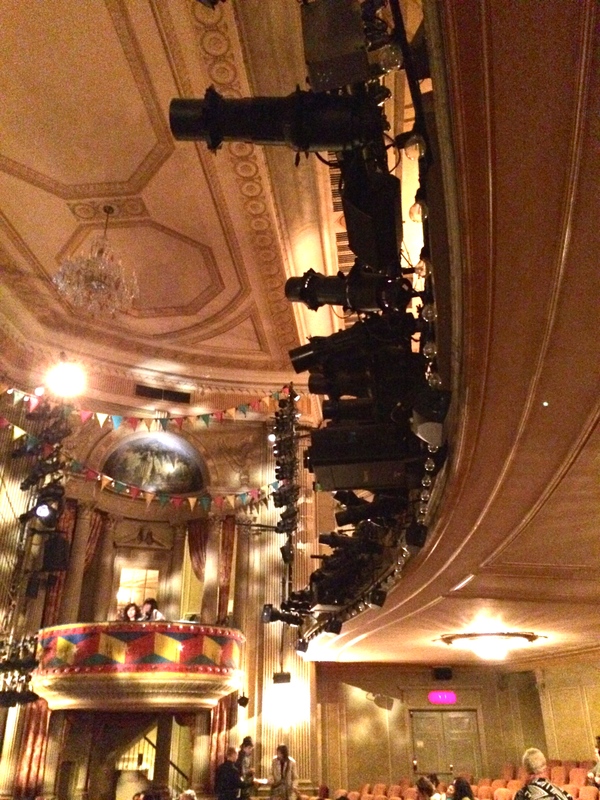 In today’s world of Broadway, LED Wash Units and Moving LED Spots are common place in the rig. It is the designer that uses them with the idea of correct style that really impresses me. 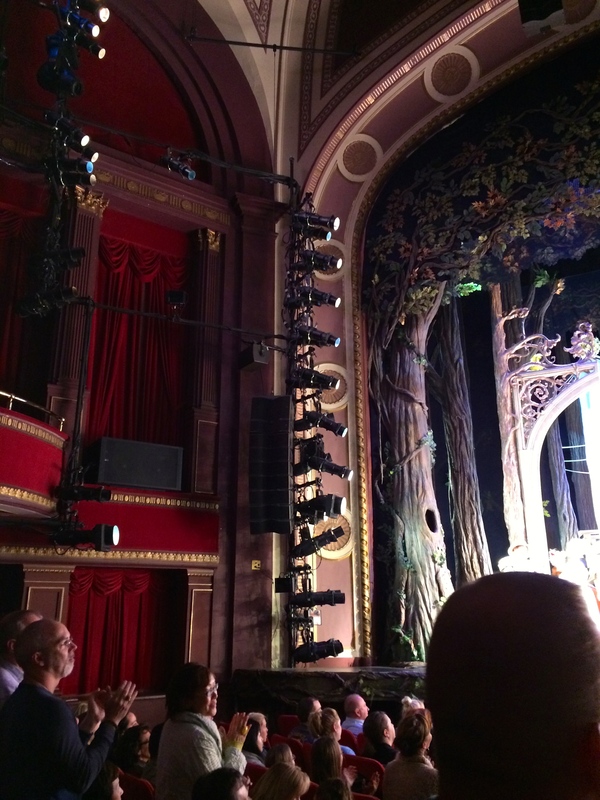 Recently I saw Ken Posner’s lighting for Cinderella. Now what I am about to say is not because I know Ken. I actually haven’t seen him since undergraduate days. His work is elegant. He blended the sensibility of Rogers and Hammerstein’s music with today’s, and yesterday’s technology. If you are a lighting student or just someone who loves lighting, please go see it. Sure, everyone thinks the costume changes are the star of the show, and yes they are amazing, but Ken’s work is just wonderful. Each and every scene is visual excellence. My point to this blog is that you can use the color options of the LED’s and the moving options of moving lights without them just being a Rock Concert. If you’re careful in your choices, you can make them match any style you need to do. Just because a LED fixture can put out a really saturated dark blue with huge vibrancy doesn’t mean you have to use it. I guess the real trick always comes down to understanding style. Question – How do I get visual variation quickly and without spending on extra scenery? So often we need to transform the environment we are in. It may be a musical review with a very simple set that we want to keep visually interesting so the audience doesn’t get bored. It could be a dance recital with just one group of people after another coming on the stage. It could be the television show “The Voice”, which has the same basic scenery but each song needs a different feel. All of these events want to be able to change the look and vibe of the location. 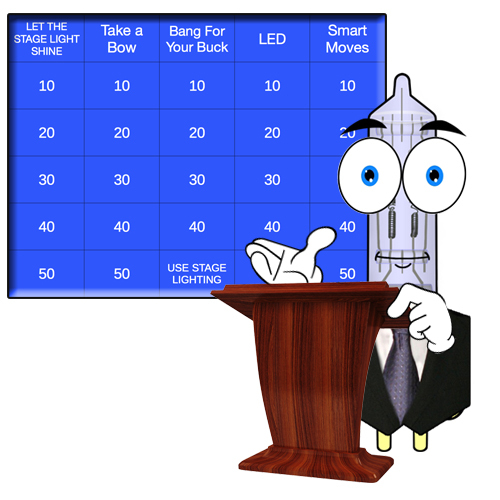 One of the principal goals of stage lighting is to be flexible and have the ability to change. The easy way to do this is by color and shape. The really really easy way of doing that is by using lighting fixtures that allow you to change their color and shape from a control panel. 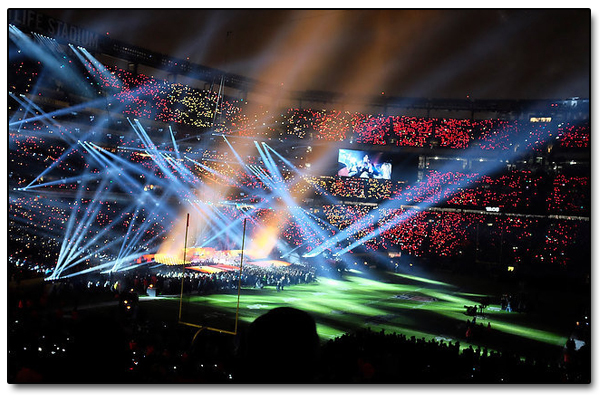 Often we speak of the benefits of LED fixtures that have built in color mixing. What a wonderful thing it is to be able to change the color of your wash at your whim! 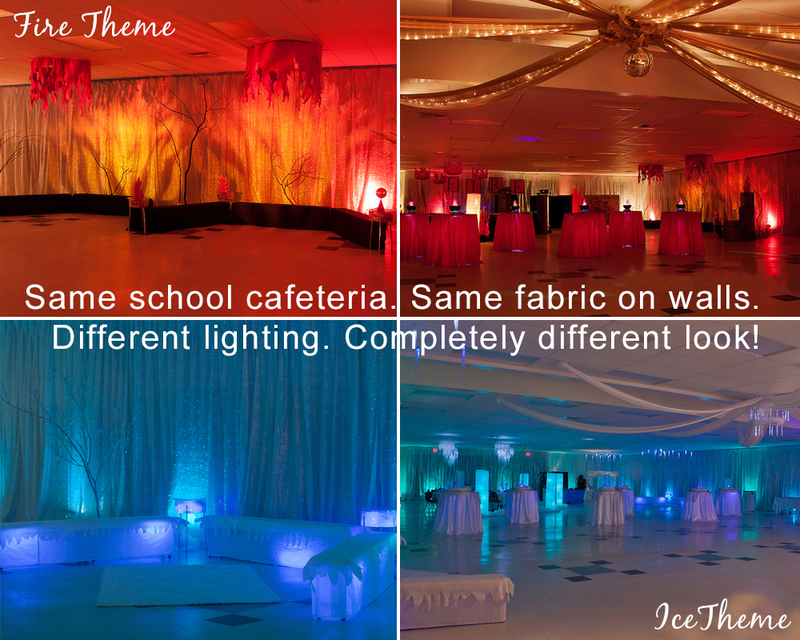 In this example we are able to show how a school cafeteria that is draped can have so many different looks simply by changing the lighting. As budgets get tight, it is often more important to spend a little less on the scenery options and more on the lighting because you can go from just a few scenic choices to a hundred scenic choices. In theatre, we generally use a fresnel (fer-nel) to throw a wash onto the stage. Without the lighthouse, this theatrical workhorse would not exist. The fresnel actually gets its name from its lens, which was invented by Augustin-Jean Fresnel. Fresnel was designing a larger plano-convex glass lens. To make a plano-convex lens in large sizes required large amounts of glass, making the lenses too heavy and difficult to work with. Fresnel cut away excess glass into concentric rings and focused all the rings in the same area. This made the lens just as effective, but lighter and thinner than the plano-convex lens. The new lens also collected more light and threw the light further than previous designs. How did a fresnel lens get from the lighthouse into the theatre? A fresnel lens offered a lot of unique characteristics that were helpful in theatre. The lens was light weight and thinner than other glass lenses. The glass heated evenly, reducing cracking. The soft edge allowed it to blend with other fresnels to give an even wash of light and color. 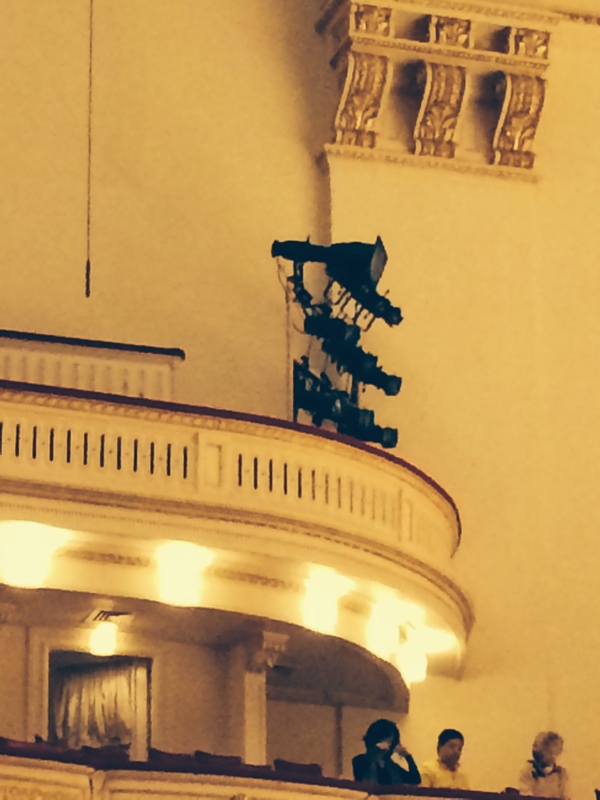 Fresnels also featured an adjustable beam size, by moving the lens within the fixture. In their 1969 catalog, the Kliegl Brothers claimed the first use of the fresnel lens in a theatrical fixture. And the rest, is history. 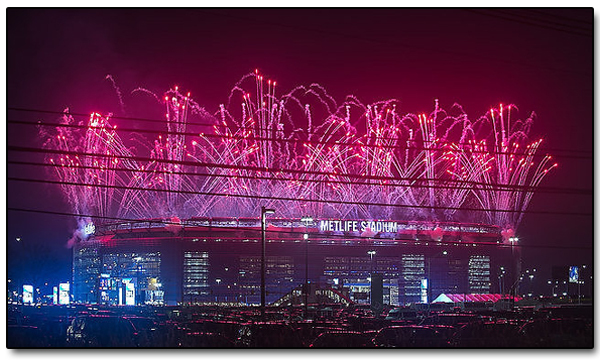 Recently we have had the privilege of enjoying huge theatrical events on television like the Superbowl Half Time Show and the Opening Celebrations of the Olympics. The lighting was amazing on both events. It does bring up the question about the different sort of things the designers and electricians have to consider when doing these events. So, I thought I would take this opportunity to bring some of them up so that we can really appreciate what goes into them. 1. Power – In today’s world we are hungry for more, more and more. Look at the amount of fixtures that are in these events. 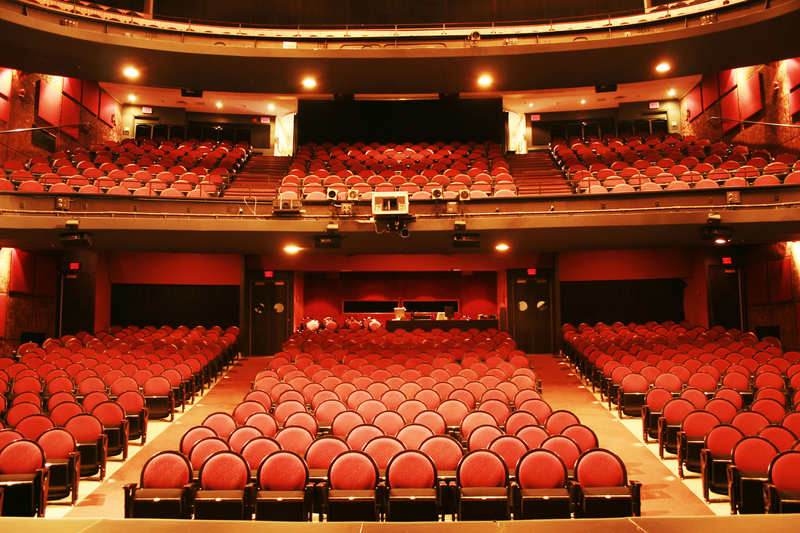 Traditionally theatrical fixtures take a lot of power. One thing that is making this situation easier is that more and more LED fixtures are being used. They use so much less power and also give a much larger variety of color choices. 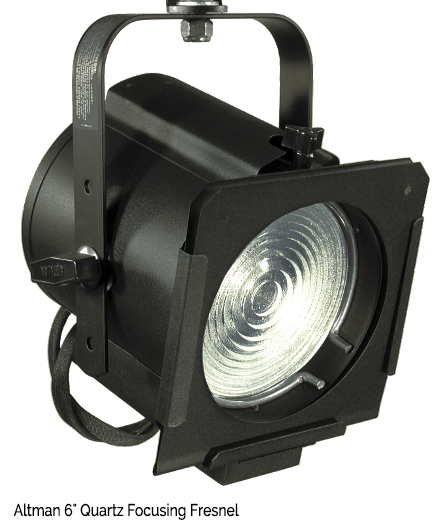 The use of battery powered fixtures is also becoming more and more popular. 2. Time – How much time one has to set up on these events vary. In the Superbowl you may only have eight to twelve minutes to get it in to place and then an even shorter period of time to get rid of the equipment. Pre-planning and using the equipment in a technical layout that is designed for speed is the way to go. The more you work on it to start the faster you can make it work. 3. 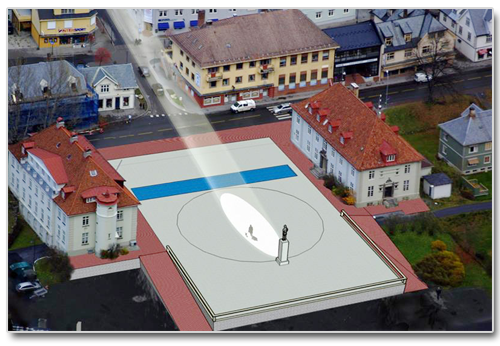 Control Signal – Wireless DMX!!! Simply said the less wires you have to use the faster you can go. Wireless DMX has become very stable over the years. 4. 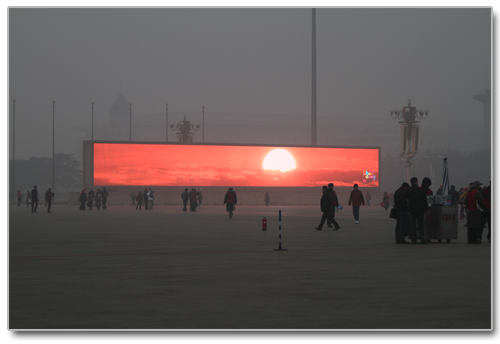 Visual Variety – The LED units help with multiple color choices. 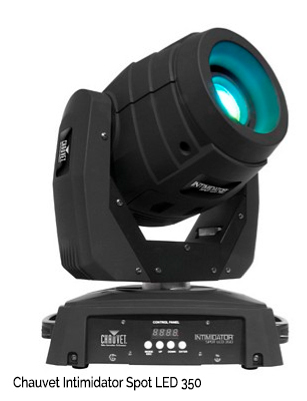 Moving lights that have multiple gobo wheels and color choices let you get multiple looks out of one unit. Then there is the projector!!!! 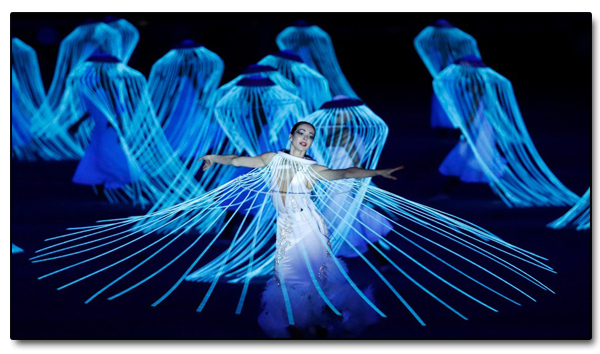 The use of over 120 projectors working on the Olympic floor created amazing images with continual variety. 5. 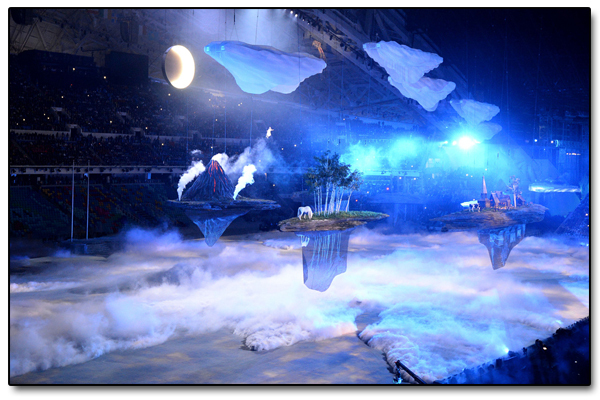 Marriage of Scenery and Lighting – Projections and lighting have become a marriage of interest. Collaboration between the initial vision of what the story line of the moment is is essential so that both designers are working together to make this happen. Our hats are off to these events. Even people who have been doing this sort of work for years were impressed with both of these productions. 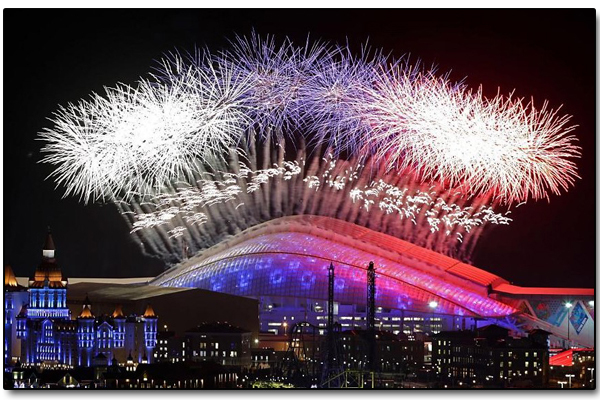 I can’t wait to see the closing ceremonies! 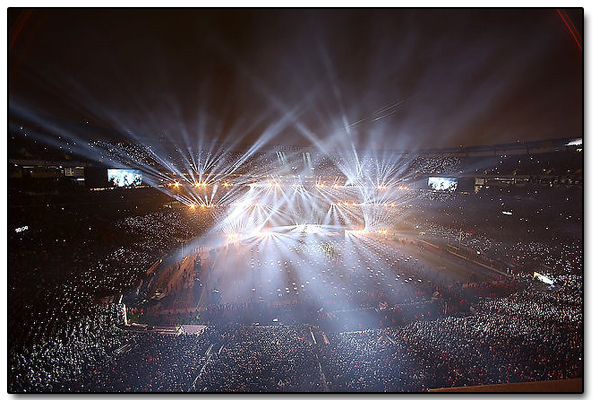 Lighting shows, stages and arenas and be challenging; ask any lighting designer! But I’ll bet you never thought the sun would need any help with lighting! Well that’s just the case in two different cities, for two very different reasons. 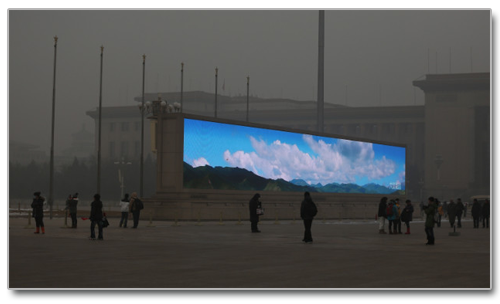 In Beijing, China, the air pollution levels were so high this past January (levels they hadn’t been seen since January 2013) that the only sunrise and clear blue skies visible were the ones broadcasted on giant LED screens in Tienanmen Square. 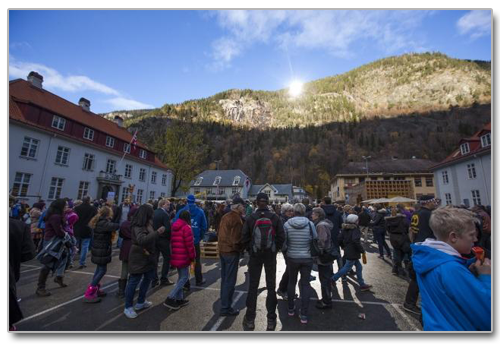 In Norway, the town of Rjukan sits between two very steep mountains, blocking the low winter sun from the town’s 3,400 residents for nearly half a year. From the near the end of September to around the middle of March, the town isn’t totally dark, but it’s not bright either, more likely described as flat or subdued. 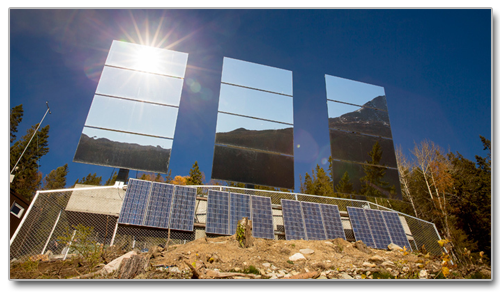 This past October, residents were able to see the sun and feel it’s warm rays reflected from 183 square foot mirrors positioned at the top of the mountain. Solar powered sensors are set to automatically adjust the angle of the mirrors to provide the most sunlight possible at any given time of day! 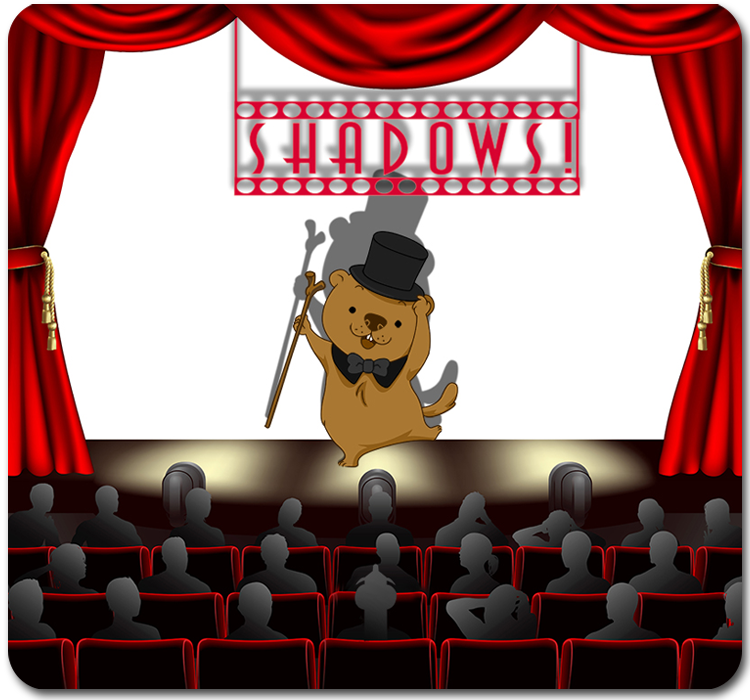 Not only does the Shadow know what evil lurks in the heart of men – it knows how many more weeks of winter there will be, if you ask Punxsutawney Phil! This Sunday, February 2 we celebrate Groundhog’s Day and wait to see if Punxsutawney Phil sees his shadow. As tradition would have it, if a groundhog sees his shadow, he will be scared by it, return to his burrow and six more weeks of winter will follow! If he doesn’t, then spring will soon be arriving. Shadows really aren’t scary at all, so don’t be afraid of using them in your lighting. In fact, shadows are very important, and at times, more important than light! Check out our Stage Lighting Store Textbook section on Shadows to learn what your shadows are telling you and the audience!